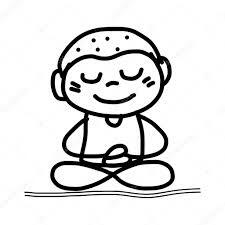 Mindfulness is just another fad to make me feel inferior as a person...isn't it? Ok. So I'm going to get real with you all here. I've been practising mindfulness for 3 years now and I am NOT a Zen goddess. Far from it. 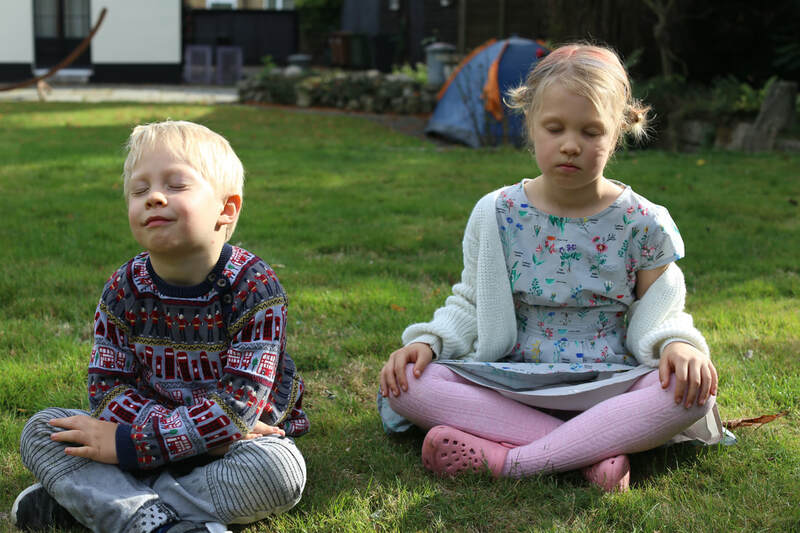 My mindfulness helps me (and my family) enormously but if people are thinking that I walk around completely carefree and my children are little angels....well that's just not the case. My fear when starting my Mindful Mama blog was that people would feel I was being preachy. There's so much pressure as a mother and so many of these blogs telling us the 'right way' to do things. I didn't want to be labelled as just another example of someone trying to show their perfect way of doing things and a perfect idea of motherhood that no normal person could possibly live up to. So the truth is that whilst mindfulness has impacted me in so many positive ways, and helps me manage stress, anxiety and pain, I do also have days where I am literally at the end of my tether and would pay good money not to see my children for at least 24 hours. This is parenting. Kids, even ones who meditate, know how to push your buttons and mine frequently take the opportunity when they can. They can be downright mean. My son told me the other day that I was a bad Mum and that he didn't think I loved him because I don't let him eat chocolate often enough. Ugh. This comment came after he had kicked his sister in the head, trapped our new kitten in a drawer and poured orange juice all over the kitchen floor. I was not in the mood to entertain his emotional warfare at that moment. He went to his room and played whilst I, feeling angry and stressed at the chaos my son had caused in the proceeding 20 minutes, sat down for a cheeky episode of Friends on Netflix before making dinner (I did rescue the kitten first). The 'mindful me' might have gone and done a meditation to calm myself down. And I do do this regularly when I'm feeling overwhelmed. But in that moment I just felt exhausted and wanted to lie down and laugh at some funny TV. I guess in a way it was being mindful because I was just going with what I needed in that moment. My point in sharing this is that although I like to share the meditations I do with the kids and tips on how mindfulness can calm anxiety and stress, I am just a human being. A mum who still makes mistakes and doesn't always remember to be mindful. You might think 'Why bother at all then?' but I can honestly say that the difference between now and before I started mindfulness practice is like night and day. I am a completely different person and without this essential tool my life would be utter bedlam! Mindfulness isn't about being perfect and mindful parenting isn't about being a flawless mother. Mindfulness is all about non-judgment and being compassionate to yourself and so when you see people talking about it don't think that it's just something else to feel bad about because you don't do it. Try to be curious and wonder what it might feel like to engage with it. Here...let's do a little mindful exercise. Sit or lie down where you are right now. Close your eyes and whilst they are closed wiggle your big toe on your left foot. Wiggle it and take your attention down to it. Really pay attention to it. Do this for about 60 seconds. Now repeat on the other foot if you want to. How do you feel now? Calm? Silly? Irritated? Confused? That exercise is a really simple mindfulness practice about that helps to ground you in the present in the moment. When you were focusing on your big toe you were in the moment feeling the sensation of your toe moving and feeling whatever emotional response you had to the exercise. So you were in the moment. This leaves little time to be worrying about something you're stressed about in the future or an incident that occurred in the past that is causing you angst. We sort of give our minds a little break from being stressed or anxious and focus on our big toe for a minute! There are longer versions of this that you can do- a full body scan for example which could be 5, 10, 30, 60 minutes. You can make time to sit and do a full meditation or you could just implement 'mindful moments' in to your day. When you're brushing your teeth instead of thinking about what you need to pick up from the supermarket focus on what you're actually doing. The feel of the toothbrush in your mouth, the taste of the toothpaste and how it feels. Perhaps in the shower focus on the water on your back, the temperature and water pressure. When you have a cup of tea or coffee take the time to pause briefly and smell the drink, drink it slowly and notice the taste and sensation on your tongue. This ^^^ is part of mindfulness practice. It's not this really scary hard thing that you need to make loads of time for in your life. You can just start really simply with mindful moments in your day and gradually build up from there. 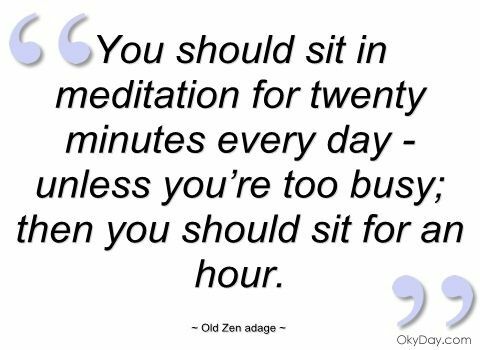 Meditating every day is great too but don't beat yourself up if you don't do it. That isn't in the spirit of self-compassion. Start small and work your way up. If you do want to start meditating then I can't recommend the Headspace app enough. It is amazing. You can trial it for free to see if you like it and then sign up if you do. There are amazing packs for anything from stress and anxiety to sports recovery. Plus there's a whole load of children's meditations on there too. The calm app is also very good! Give them a go and you'll see that mindfulness isn't as intimidating as you maybe thought!